Stevens Strategy (and prior to the formation of our firm, John Stevens as an independent consultant and senior member of another firm) led a wide variety of projects over an extended period of time at Holy Family University. Stevens Strategy has helped us look at ourselves honestly and earnestly from an organizational and data-driven viewpoint. Brendan Leonard clearly helped to establish measurable outcomes that are quantitative and qualitative in nature. Brendan’s extensive knowledge and experience in higher education proved invaluable throughout the entire working engagement… Stevens Strategy met and surpassed all of our initial expectations and needs completely, diligently, and with extreme care and concern. The end product has become a living, dynamic working document for strategic planning and operational budgeting for Holy Family University… Stevens Strategy is focused on total customer satisfaction with their consulting services and work efforts. If we are not happy, they are not happy. If we fail, they fail. Stevens Strategy will…ensure that the job and services promised will be filled completely…for a fair price. 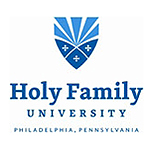 It doesn’t get better than that… Beyond the financial realm, Holy Family University has used Stevens Strategy for personnel recruitment, marketing planning, operational enhancements, and fund-raising development to name a few areas. Our working relationship with Stevens Strategy is one that we deeply value and look forward to continuing in future years.